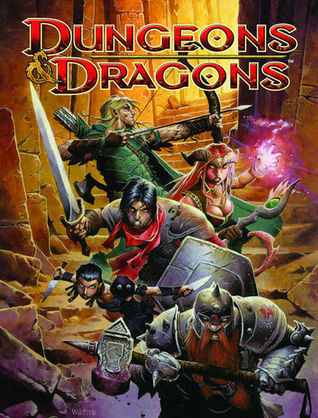 I RATE THIS NOVEL FOUR OF FIVE STARS! 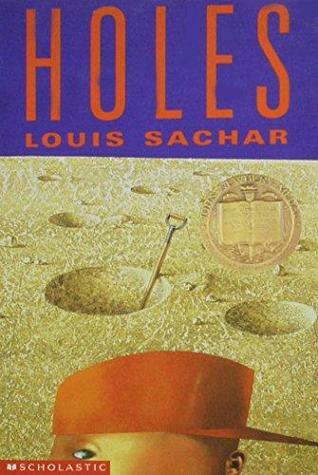 Holes, by Louis Sachar, is a lovely and sad little tale about a teenage boy named Stanley Yelnats (quite interesting having someone’s full name spelt the same backwards and forwards) who was sent to a juvenile correctional camp. Who could’ve known that when a pair of sneakers fell off an overpass and hit you on the head, that you’d be convicted of stealing them and sent to a camp in the middle of nowhere for eighteen months to dig holes every day? It’s safe to say that I wouldn’t expect it, and the book had plenty of other exciting and unexpected things happen before the story beautifully ends. In the story of Holes, it’s set in a dried up lake in Texas by the name of Camp Green Lake, and there was once a town by the same name beside the lake. Almost straight away, you’re introduced to the people who become Stanley’s friends, enemies and his bosses who create the law at Camp Green Lake. I would love to know how a kid as fat as Stanley Yelnats managed to dig holes with his ‘soft fleshy hands’ and his distinct lack of strength. Even though it took him longer than most, having dug holes in construction, it gets pretty damn tiring. He would have thrown up for sure, and his muscles would have hurt too much to continue, especially after the first day. I loved the story of the curse given to their family by a witch. 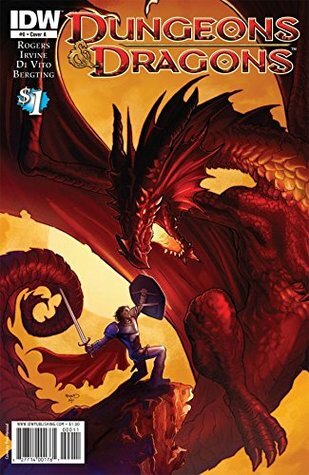 Stanley has to fight his curse, and what he sees as the tyranny of the warden. His day-to-day task is to dig holes with his bunkmates at the camp in the gruelling heat with limited water. The plot moves along nicely, giving you information, change in relationships as Stanley gets to know everyone better, he finally meets the warden who is unexpectedly a woman (from Stanley’s viewpoint, now my own), and wishes nothing more than to leave the awful place and go home. Eventually, though, he sees his time at the camp as the most enjoyable time of his life. Stanley is a kid with rotten luck, who had no friends and has a poor family. He gets bullied at school and kind of hates his life. So to him, the camp wasn’t so bad. Stanley’s bunkmates are Zero (Hector Zeroni), X-Ray (Rex Washburn), Squid (Alan), Magnet (José), Armpit (Theodore Johnson), and Zig Zag (Ricky) and they all have unique personalities and perspectives in this lovely but straightforward novel. My journey with Stanley was one of devotion, of hard work, and of triumph. He really did give it his all and came out okay in the end. It was a nice ending in my opinion. Between the realistic characters and their development, the plot pace, the uniqueness of the story, and the tale of friendship, I truly enjoyed reading Holes even though it wasn’t my usual genre. 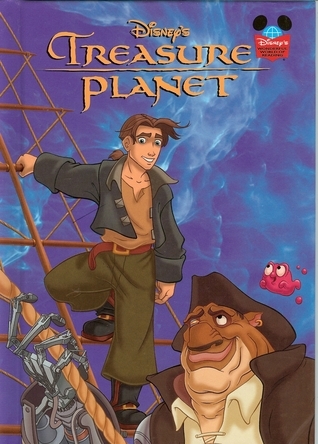 The writing was quite simplistic, but it really suited the type of story it was. The beautiful friendship that blossomed between Hector and Stanley towards the end was enough to bring tears to my eyes. Stanley thought he had a hard life, but compared to Hector, it was a walk in the park. Together they achieved many great things, and I was pleased with the ending. Just remember, anyone can break a ‘curse’ so long as they work hard enough to change their lives and do good deeds. Unknowingly, Holes has a sequel, and I plan to get it at some stage as I absolutely loved this novel. If it weren’t for the redundancies such as mentioning certain things two or three times in a row within a single chapter, I could have rated the story five stars. 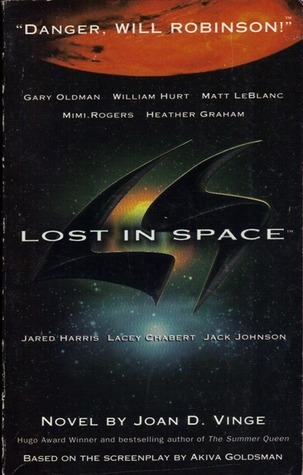 If you’ve seen the movie, I definitely recommend reading the book. Previous postHow many characters is too many?